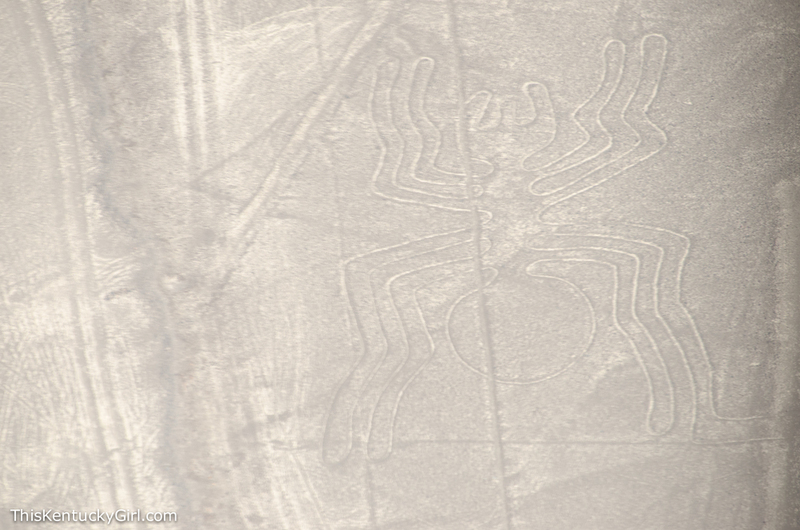 The Nazca Lines are ancient pictures (basically) that have been etched into a plateau that is about fifty miles long just outside of the little town of the same name, Nazca. 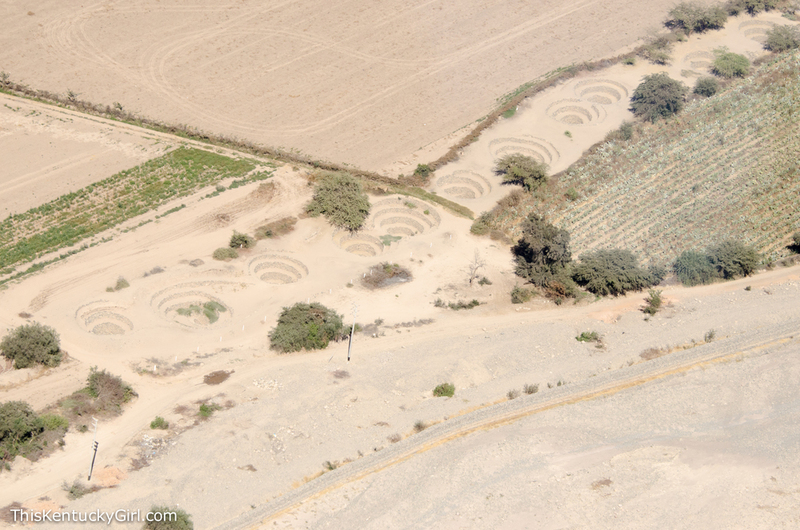 It’s believed that the Nazca people created these lines between 400 and 650 AD, which is pretty incredible that they are still intact until you take into consideration the remarkably dry stable climate that has preserved the Nazca Lines almost perfectly. For roughly $80.00, you can take a short (about 40 minutes) flight above the lines. It was incredible. 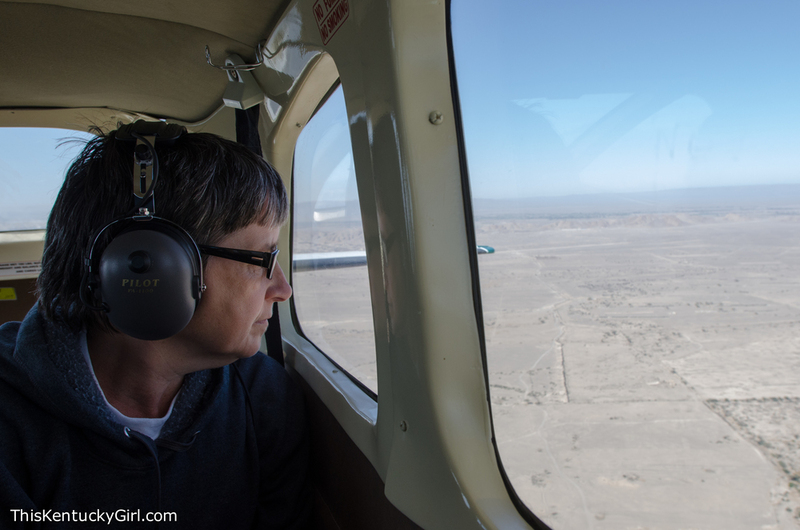 I’m not sure what was more exciting, being in a tiny airplane for the first time, or looking out over the Nazca Lines in absolutely perfect weather (we were told conditions may not be the greatest), or being able to share the experience with not only Andrew, but my momma as well! 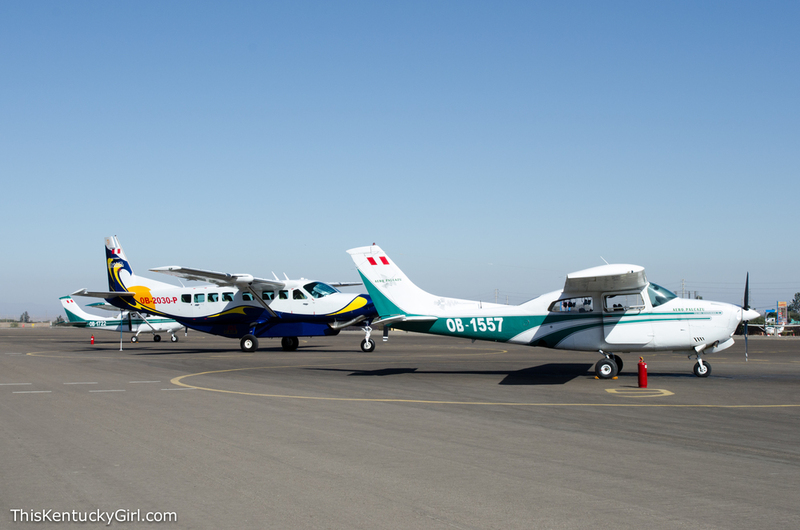 To view the Nazca Lines, you have to be at the airport early to book a flight, pay the airport tax, and then wait for the weather to be good enough to view the lines below. 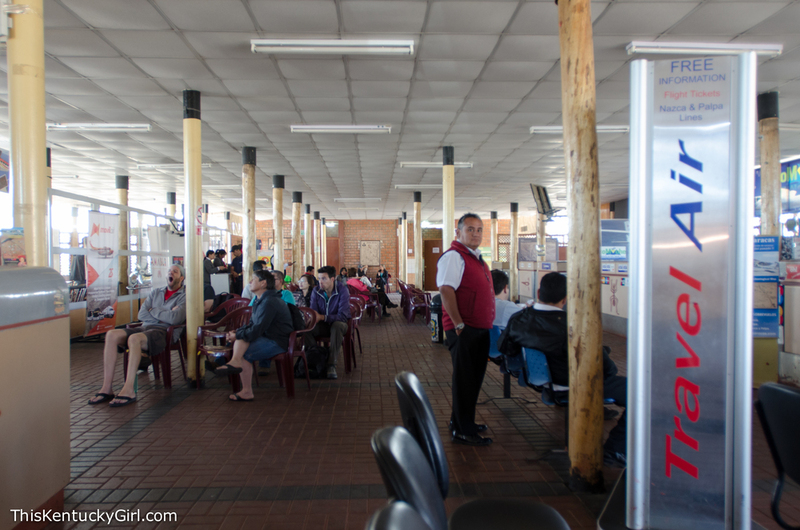 We read that some people waited for several hours and even had to leave the airport and return the next day for better conditions. 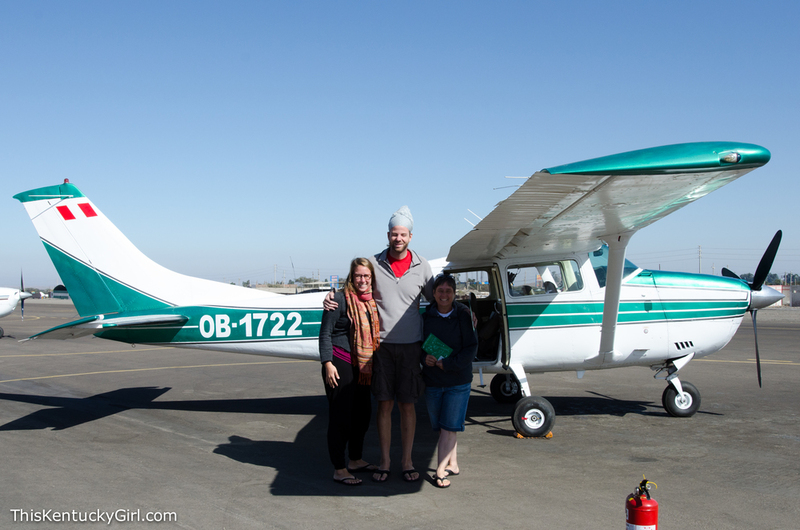 Given our track record, I thought we were going to be those people… But we didn’t end up waiting long and in the middle of a National Geographic like video we were going through security and climbing into our six-seater. 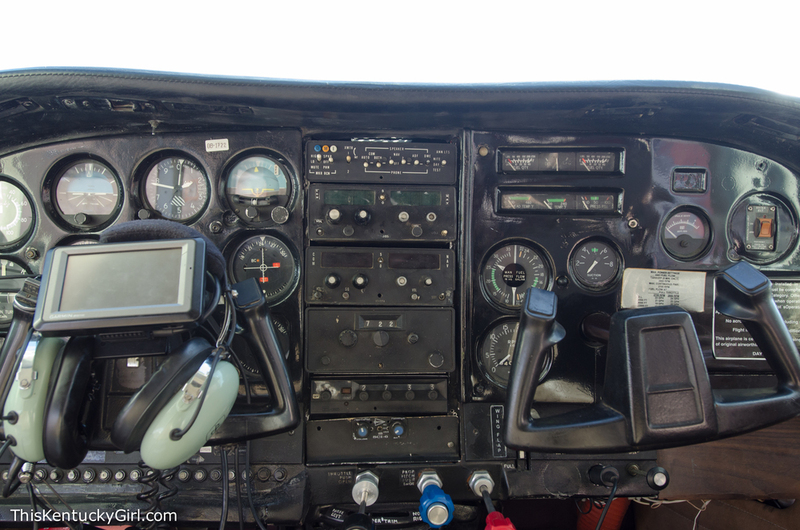 After about ten minutes of flying, our co-pilot started telling us which side to look and began pointing out geoglyphs (fancy word for design) in the shape of a human figure, monkey, hummingbird, fish, a tree, and more. It might not look as incredible in the pictures, but it was really amazing circling over them in the small plane simultaneous to the co-pilot telling us to get ready for the next design on the other side of the plane. It’s debated what these pictures meant. Obviously it had to have been a lot of work, so they must have been important. 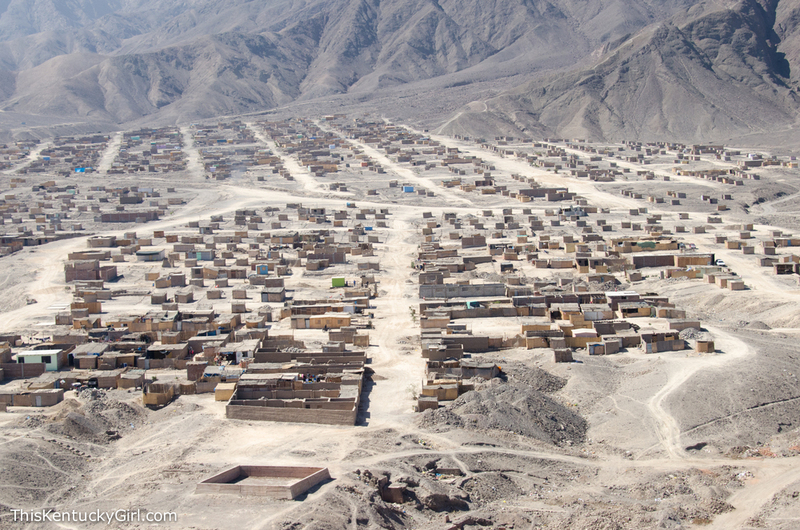 In the video we watched, we saw a huge need for water and when looking up the Nazca Lines after our visit it’s believed the lines might be connected to the search for water. Other possibilities include irrigation and even astronomy. We made one pass over some ancient aqueducts, over the city, and then before we knew it, we were back at the airport. 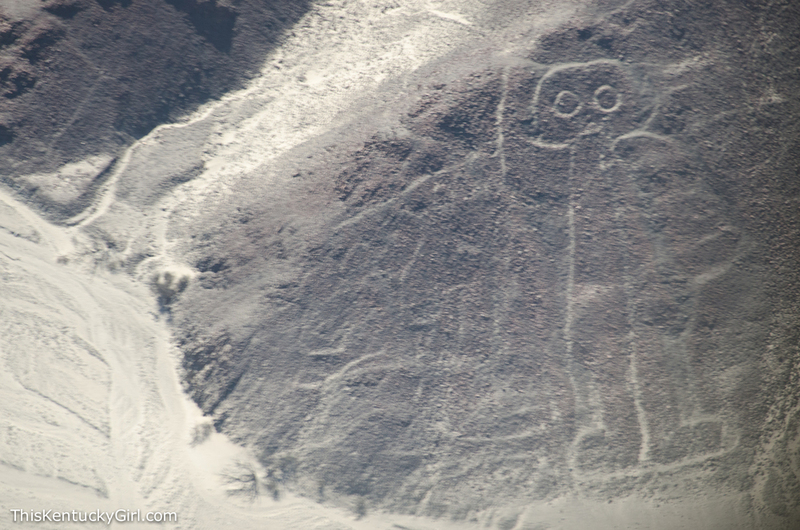 Unfortunately, aside from the video that we were shown while we waited for the weather to cooperate, there really wasn’t much more information on the lines, nor the Nazca people in Nazca. There wasn’t much to do, either. We walked around the city after lunch in search of ice-cream and had a hard time finding that!